These data is by changchun jin-an hotel for its customers to provide a service that all information is for reference only.Use of this web site said you agree to these terms.If you do not agree to these terms, please do not use this web site.Such as the content of the above disclaimer in both English and Chinese, any discrepancies between the Chinese shall prevail. This website contains changchun jin-an hotel used to distinguish between its services and products of trademark. According to the national and international law, the above trademarks and all related assets may not be copied or simulation, without the prior written permission of changchun jin-an hotel shall not be reproduced, copy or use in other ways. Contained in this web site or by other means of information, text, graphic design, image, sound, web links, and all the other information and software (the "site content") are changchun jin-an hotel private property;Unless otherwise agreed to, otherwise without the prior written permission of changchun jin-an hotel in any form or by any means, including electronic, mechanical, photocopying, recording, or otherwise will content, copy, distribute, display, copy or transmission. 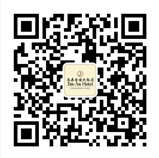 Changchun jin-an hotel co., LTD. Copyright © 1997-2007.All rights reserved. This website content can only download and copy as a personal non-commercial or internal use.This is a license agreement, rather than the transfer of ownership, and restricted by the following: first, content may not be modified or used for any commercial purposes, not on public display, performance, sale or rental;Second, to interpret the content of the software in any way, transformation or decomposition;3, shall not be deleted from the content of any copyright or other notices of patent;Fourth, the content of this website may not be transferred to others;Fifth, download, copy, or otherwise use this web site content, it is agreed not in the case of any unauthorized copy content. Changchun jin-an hotel will work hard to ensure that the content of this site accurate and reliable.However, changchun jin-an hotel and its agent is impossible that there is no negligence ;Errors and/or omissions may sometimes happen; Jin-an hotel in changchun , therefore, for any questions about this site, whether express or implied, and links to websites, this website will not assume any form of guarantee, including but not limited to intellectual property rights on commercial sales, non invasive, or commitment to any particular purpose. Changchun jin-an hotel does not guarantee the accuracy of this website, currency conversion or its content integrity, including but not limited to any information about the price or availability .Changchun jin-an hotel will modify the content from time to time and/or wherein products, services and resources, and reserve the right to change, but don't have any obligation to inform the site visitors to the past, present or future. Jin-an hotel in changchun , in any case, no liability arising from use of content or content will not be able to use any indirect, special, accidental or joint damage (including but not limited to loss of profits, business interruption or loss of information) for compensation, even if the changchun jin-an hotel has been told about the possibility of such damage. Communication about dealing with changchun jin-an hotel, including but not limited to respond, questions, criticisms and Suggestions: one, changchun jin-an hotel will be under no obligation to put content confidential, and not to ensure the communication content leaked ;Second, changchun jin-an hotel are free to copy, use and disclosure of communication content, and can be transferred to others ;Three , changchun jin-an hotel are free to choose any opinions contained in the communication content, concepts, skills or techniques, including but not limited to, communication contents involved in the development, production and marketing of products and services promotion, etc. Please only send the unclassified E-mail to us, do not contain confidential personal or private information .In order to protect your interests, we reply will not contain any confidential information .Please don't use Internet E-mail to send orders to us .If send jin-an hotel in changchun include confidentiality, privacy or personal information, during which the absolute risk shall be borne by you.